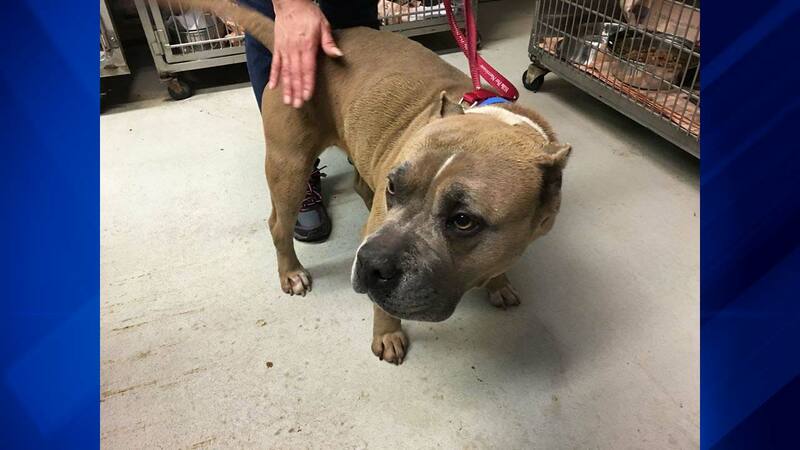 PALOS PARK, Ill. (WLS) -- Palos Park Police are searching for the person who dumped a pit bull on the side of a busy road and then took off. According to police, witnesses saw a white four-door sedan drive up, open the door and shove the dog out at 123rd and Post. Police say the car had Illinois plates with three letters and three number: 796. Police are looking for the driver. If you have any information call authorities at 708-671-3370 or 708-448-2191. The pit bull is up for adoption at the Chicago Ridge Animal Welfare League.